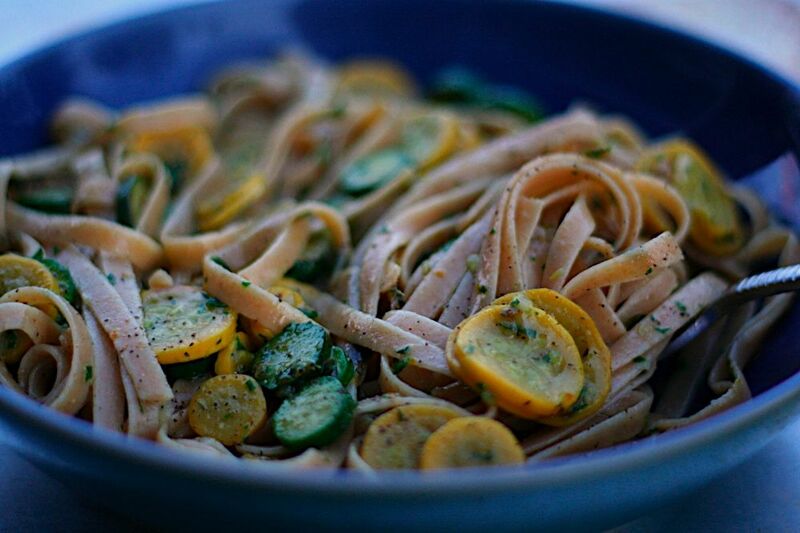 Then — more predictably, at least for a girl who’s now written about zucchini in half of her existing posts — you sauté tiny rounds of baby squash in the nasturtium butter, simmer it all in a little stock, toss it with some warm pasta and more nasturtium butter, and spend the next 20 minutes exclaiming, “Ohmygod this is so good” and, “Wow, this is really good” until Mr. Frozen Pizza himself finally asks to try a bite. In fact, were it not for the thin slices of deliciously tender baby squash and his aversion to all things containing actual vitamins and minerals, I bet I could have totally tricked Chris into having this for dinner. 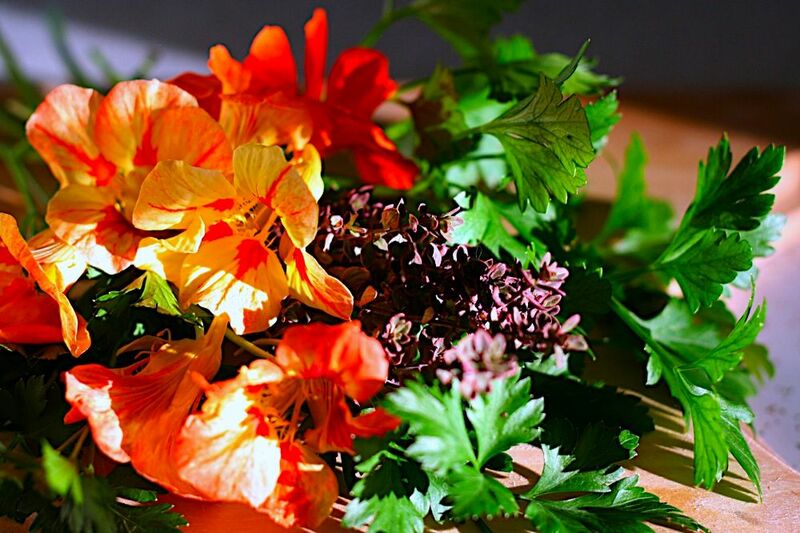 1) Finely chop the herbs, nasturtium blossoms, and shallots. In a small bowl, use a fork to blend this mixture into the butter. Season with salt & pepper and set aside for at least an hour. 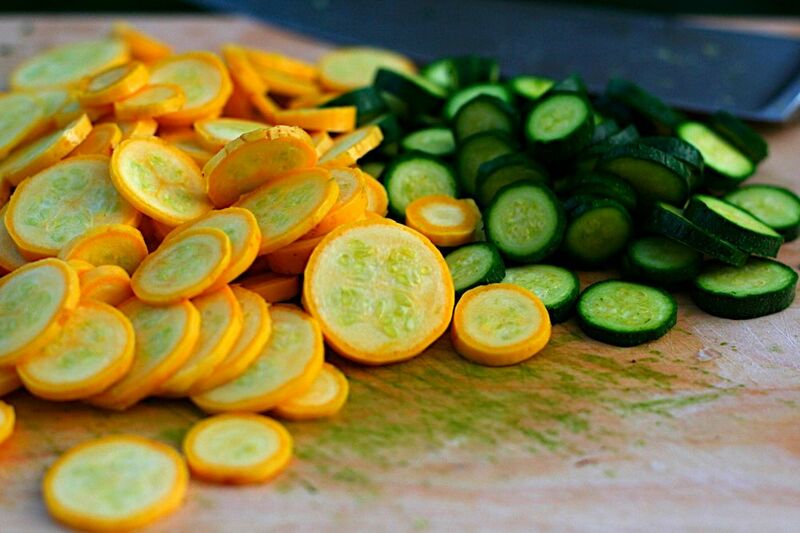 3) Meanwhile, slice the squash into thin rounds and the blossoms into thin ribbons. **My squash was flowerless, so I skipped the ribbons. 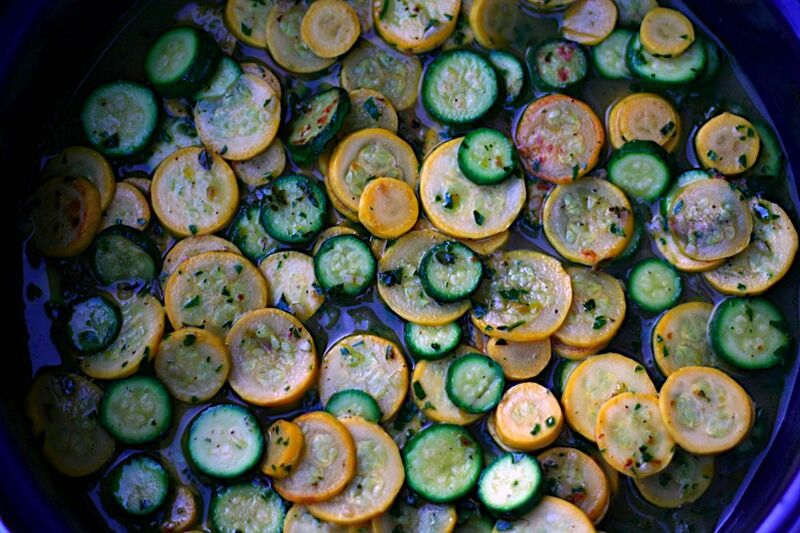 4) Melt half the butter over medium heat in a large, shallow pan and sauté the squash for two or three minutes. Add the stock and squash blossoms and simmer while the pasta cooks. 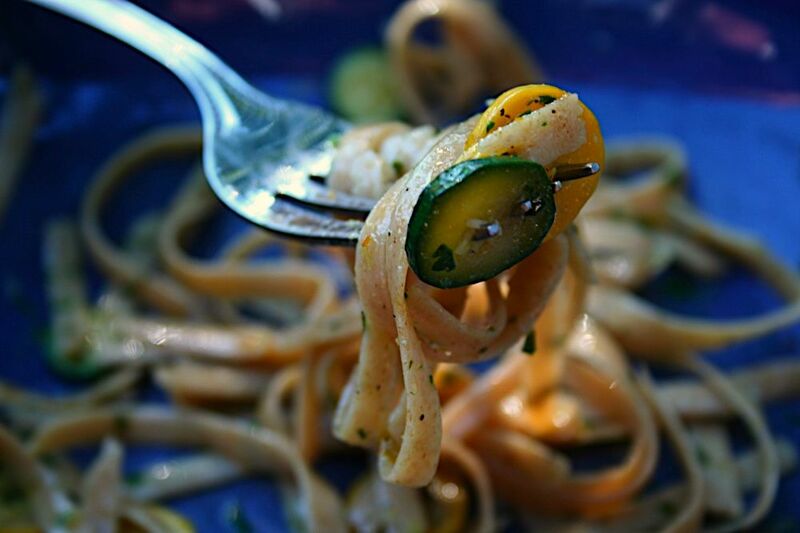 5) Drain the pasta, then toss it with the remaining butter and the squash. Season with salt & pepper. *The original recipe calls for 1 t. fresh savory and 1 t. fresh thyme. I don’t have savory so I just doubled up on thyme. The world continued to turn. This entry was posted on August 20, 2008 by Megan @ When Harry Met Salad. It was filed under pasta & pizza and was tagged with nasturtium blossoms, squash, vegetarian, zucchini. How much weight has Chris gained from all this great cooking? I wouldn’t be able to fit through the door. This is the prettiest blog ever! I need to find a contact at Ryland Peters or Potter to get you published. Keep it up!!! Can you come to Bangladesh and cook for me? I’m hungry. Okay, I want to see something from MFK Fisher next. Neato! I’ve heard that nasturtiums are edible but had no idea what to do with them. Now I can make something that will use both nasturtiums and the pounds of zucchini everyone is foisting off on me. Thanks! btw, I just checked your blog because I’m about to try your grilled veggie marinade. I’ll let you know how it turns out. Teri – It’s all about portion control. distributorcap – Oh hell yeah! Lulu – There has actually been recent discussion about a move, if not to Bangladesh, abroad somewhere. It might take a few more years of negotiation though. Vikki – You know, I’ve never read her, but I just made a mental note to do so. Kristi – How right you are. Clare – I thought of you and your affinity for nasturtiums as I was making this. I’ve seen them scattered on top of salad greens as well.